I find it incredibly patronizing they are making me pose with this terrible excuse for a stuffed dog. – Hey, I’m real and can hear you. To finish the sentence that the title of today’s track starts, “fall in love.” In it’s entirety, this Canadian group proclaims, only foolish hearts fall in love. 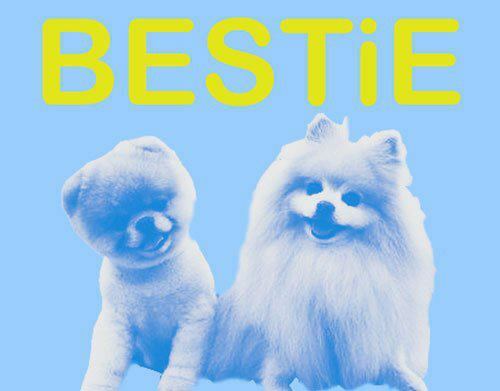 I couldn’t dig up much on Bestie, but that’s not due to them necessarily hiding like so many of today’s bands do. While I posted a picture of a dog, many photos of their actual faces exist. Which is becoming more and more noteworthy as more and more bands build sham hype by hiding their identity. No, BESTiE, just appears to be rather new to the internet and I imagine they will be popping up a few more times in the coming weeks. “Foolish <3’s”, the unfortunate cutesy title spelling aside, is a strong indie pop song. Channeling darker tones and contrasting them with the normally sunshine punching afro rhythms that I find myself a sucker for. Not easily done. It’s tropical, it’s from Vancouver, it’s big, and it’s a warning. A take that tells you that no matter how great things are, and how in love you find yourself you should not fly too close to the sun because, well you know the saying. This probably isn’t the view of a happy individual. Alas, more of summer has passed than what lies ahead and perhaps darker songs with more haunting themes will start to poke their heads. I’m interested in seeing where they go with their sound in the future. I imagine a few different directions they could lean on going forward. For a free download of “Foolish <3’s” check out their bandcamp here.